At Rapid Printing we love what we do. The passion we have for our work enables us to take ownership of our clients' projects. We constantly strive to deliver the highest-quality products possible, and to complete your orders on time, every time. 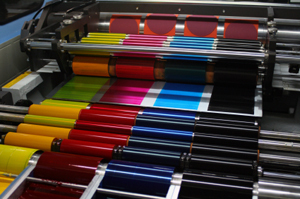 Rapid Printing's mission is to provide you with the highest-quality products and services possible in a timely fashion and at a competitive price. We promise to listen to you and help you achieve your business goals. We will always be there with honest, expert advice and quick, friendly customer service. We aim to meet or exceed your expectations, on every order. We're proud of the strong roots we've built in our community, having done business in the same South Holland IL location since 1967. We pride ourselves on being a complete source for all of your communications needs, and strive to be on the leading edge of technology. We will work hard to remain skilled professionals, seeking to meet whatever challenges our clients may bring to us. Rapid Printing has launched this website to make it easier for our clients to request estimates, place orders, transfer files online or contact us. We hope you will look around on our site to become familiar with all the products and services we offer as well. We hope you find the site helpful.